The Club uses your personal data to manage and administer your membership and your involvement with its teams and the Club, and to keep in contact with you for these purposes. Where the Club or the RFU rely on your consent, such as any consent the Club might seek for email marketing, you can withdraw this consent at any time. Amongst the data the Club collects from you may be medical (including injury) information. The Club will hold this where you (or your parent) have given consent, so that the Club can ensure the Club is aware of your condition and that you are supported appropriately. Where you work in a particular role within the game, you may be required to undergo a Disclosure & Barring Service (DBS) check using the RFU’s eDBS system. The result of this check will be input into your Game Management Service (GMS) record. Wherever the Club relies on your consent, you will always be able to withdraw that consent, although the Club may have other legal grounds for processing your data for other purposes, such as those set out above and in the Data Policy. In some cases, the Club is able to send you direct marketing without your consent, where the Club relies on our legitimate interests. You have an absolute right to opt-out of direct marketing or profiling the Club might carry out for direct marketing, at any time. You can do this by contacting the Club using the details set out below in the ‘How do I get in touch with you or the RFU?’ section. How do I get in touch with Teddington RFC Ltd or the RFU? If you have any concerns about how the RFU process your data, you can get in touch at legal@rfu.com or by writing to The Data Protection Officer, Rugby Football Union, Twickenham Stadium, 200 Whitton Road, Twickenham, TW2 7BA. This policy describes how the Club will make use of the data it handles in relation to our members and players, including our use of Game Management Service (GMS) provided by the RFU. The policy also describes the RFU’s use of data on GMS. This policy also describes your data protection rights, including a right to object to some of the processing which the Club carries out. More information about your rights, and how to exercise them, is set out in the ‘What rights do I have?’ section. your type of membership and involvement in particular teams, or any key role you may have been allocated, such as Chair, Safeguarding Lead, Membership Secretary etc. your medical conditions or disability, where you provide this to the Club with your consent (or your parent’s consent) to ensure the Club is aware of any support the Club may need to provide to you. Some information will be generated as part of your involvement with the Club, in particular data about your performance, involvement in particular matches in match reports and details of any disciplinary issues or incidents you may be involved in on and off the pitch, such as within health and safety records. What information does the Club receive from third parties? Sometimes, the Club receives information about you from third parties. For example, if you are a child, the Club may be given information about you by your parents. The Club may receive information relating to your existing registrations with other clubs or rugby bodies or disciplinary history from the RFU through GMS. 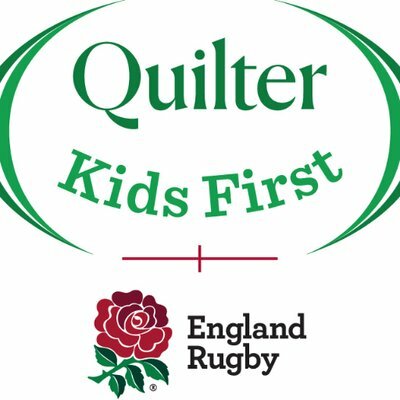 Additionally, for certain role holders or those working with children, the Club may receive information from the DBS and the RFU on the status of any DBS check you have been required to take. How does the Club use this information, and what is the legal basis for this use? providing and arranging the delivery or other provision of products, prizes or services. the Club uses CCTV cameras to maintain the security of our premises and may use this video to investigate incidents at the Club or its premises. on other occasions where the Club asks you for consent, the Club will use the data for the purpose which will be explained at that time. the Club may respond to requests by government or law enforcement authorities conducting an investigation. Who will the Club share this data with, where and when? Some limited information may be shared with other stakeholders in rugby, such as other clubs, Constituent Bodies, referee societies, league organisers, so that they can maintain appropriate records and assist the Club in organising matches and administering the game. Personal data will also be shared with third party service providers, who will process it on the Club’s behalf for the purposes identified above. Such third parties include the RFU, as the provider of GMS, and Pitchero, providers of our website. Where information is transferred outside the EEA, and where this is to a stakeholder or vendor in a country that is not subject to an adequacy decision by the EU Commission, data is adequately protected by EU Commission approved standard contractual clauses, an appropriate Privacy Shield certification or a vendor's Processor Binding Corporate Rules. A copy of the relevant mechanism can be provided for your review on request. You have the right to ask the Club for a copy of your personal data; to correct, delete or restrict (stop any activate) processing of your personal data; and to obtain the personal data you provide to the Club for a contract or with your consent in a structured, machine readable format. In addition, you can object to the processing of your personal data in some circumstances (in particular, where the Club does not have to process the data to meet a contractual or other legal requirement, or where the Club is using the data for direct marketing). These rights may be limited. For example, if fulfilling your request would reveal personal data about another person, or if you ask the Club to delete information which the Club is required by law to keep or have compelling legitimate interests in keeping. To exercise any of these rights, you can get in touch with the Club or, as appropriate, the RFU or its data protection officer, using the details set out below. If you have unresolved concerns, you have the right to complain to the Information Commissioner’s Office. Much of the information listed above must be provided on a mandatory basis so that the Club can make the appropriate legal checks and register you as required by RFU Rules and Regulations. The Club will inform you which information is mandatory when it is collected. Some information is optional, particularly information such as your medical information. If this is not provided, the Club may not be able to provide you with appropriate assistance, services or support. The Club processes the majority of your data for as long as you are an active member. Where the Club processes personal data for marketing purposes or with your consent, the Club processes the data unless you ask the Club to stop, when the Club will only process the data for a short period after this (to allow the Club to implement your requests). The Club also keep a record of the fact that you have asked the Club not to send you direct marketing or to process your data indefinitely so that the Club can respect your request in future. Where the Club processes personal data in connection with performing a contract or for a competition, the Club keeps the data for 6 years from your last interaction with the Club. The Club will retain information held to maintain statutory records in line with appropriate statutory requirements or guidance. Records of your involvement in a particular match, on team sheets, on results pages or in match reports may be held indefinitely both by the Club and the RFU in order to maintain a record of the game.